Stand designed for Travelers wins Best Large Stand at Airmic 2017. 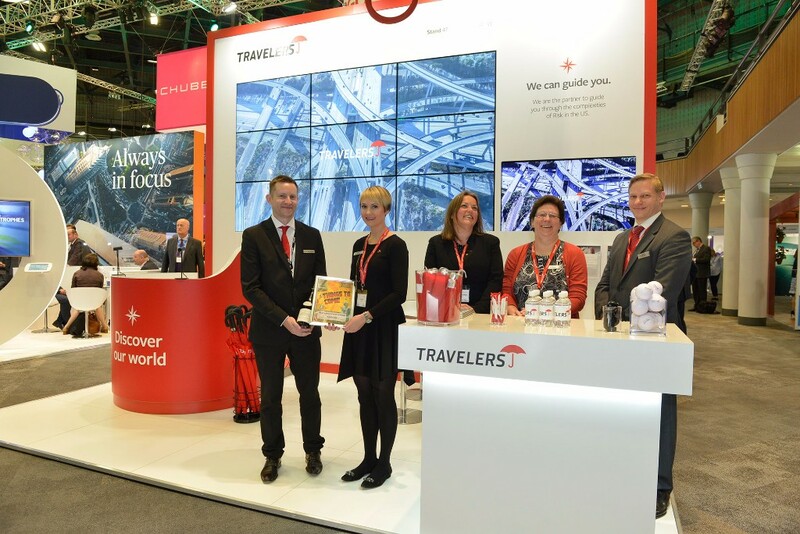 We are delighted that our recent stand design for Travelers has won Best Large Stand at the Airmic event at ICC, Birmingham. In collaboration with creative marketing agency, Brand & Deliver we were asked to design and build an interactive virtual reality stand that reflected Travelers sleek and contemporary brand identity. The stand featured a bold red virtual reality booth for potential clients to stand in and experience a 3D world, demonstrating Travelers use of drones on location for risk assessment purposes. The VR goggles were linked to the large 9-screen monitor, which displayed the users experience for all visitors to see. Incorporating the company’s identifiable logo, Limeblue highlighted the stand with a three and a half meter signature red umbrella that was suspended high above the stand, making it extremely easy for visitors to locate. The result was an eye-catching, interactive stand that clearly stood out from the crowds.